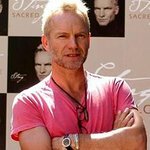 Third Street Music School Settlement, the nation’s longest running community school is pleased to announce this year’s Spring Gala, “Legends & Leaders” will honor Sting, Grammy Award winning musician and renowned philanthropist and Brenda Harris, Third Street Preschool teacher of 22 years. The gala, being held on May 16, pays tribute to honorees for their philanthropic contributions and leadership in supporting the arts and music education. “I applaud Third Street Music School Settlement’s commitment to arts and culture and am honored to be celebrating with such a historic and essential organization,” said Gala Honoree Sting. Located on East 11th Street in the heart of the East Village, Third Street offers early childhood classes, a unique music-centered preschool, after-school and Saturday programs for children and teens, as well as daytime and evening programs for adults. It also provides in-school arts education through more than 27 school and community partnerships across the city, as well as a year-round schedule of more than 250 public performances. Third Street alumni, many who are professional artists, include violist Masumi Per Rostad of the acclaimed Pacifica String Quartet; 1920’s hit-maker Irving Caesar 9Tea for Two, Bobby Lopez, co-writer of the hit Broadway musical Avenue Q and Academy Award-winning writer of “Let It Go” from Disney’s Frozen; Ingrid Michaelson, pop singer/songwriter with hits on the Top 40 charts; and Jessie Montgomery, recipient of the Sphinx Award.